Huawei has taken to a Chinese social networking site to leak images of its upcoming Ascend D1 Q handset that is set to launch at MWC 2012 in Barcelona. The photos follow on from Huawei chairman Yu Chengdong's announcement of the Ascend D1 Q handset earlier this month. 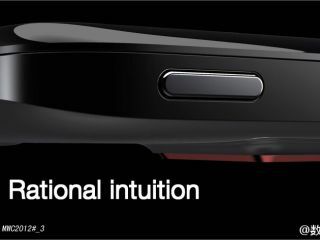 We already know that the Ascend D1 Q will be Huawei's fastest phone ever with it expected to pack a quad-core processor – taking on the likes of the HTC One X at MWC 2012. From the photos the Ascend D1 Q looks to take its form from the book of both Samsung and HTC, with a bump at the base much like the Galaxy S2 and a back cover which hugs the edges of the device like the Desire S.
The Ascend D1 Q looks set to land in Huawei's 'Diamond' handset range and be the flagship phone in 2012 as the company attempts to keep up with the big boys in the Android mobile market. We will be at Huawei's press conference next week in Barcelona to get all the details on the Ascend D1 Q including that anticipated quad-core processor.